One of the things I love about Spain is the amount of public holidays it has. Spain lists more than 50 public holidays celebrated across the country in 2018 compared to only 14 in the United States. This in addition to the month of August where the city nearly shuts down and people flee to the coast. Just when I thought my spring break days were over, I was introduced to the beauty of Semana Santa, a weeklong Easter celebration. After an unusually long bout of cold, rainy weather in Madrid, I couldn’t wait to road trip south toward sunshine and beaches. I’ve already waxed poetic about the charms of Andalucía, the southern region of Spain, so I’ll spare you from part two. Each town has a distinct vibe, so it’s hard to choose a favorite, but after three separate trips through the region I’ve gotten a feel for the type of traveler each city attracts. 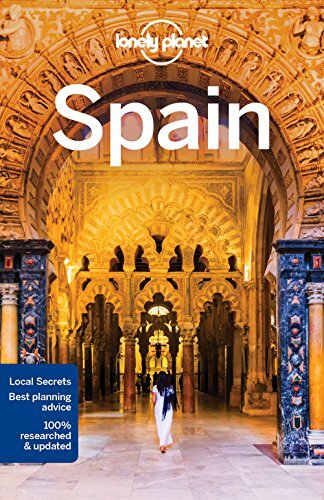 If you’re planning a trip to the south of Spain and are unsure where to start, find out which city best fits your travel personality. Granada is a haven for hippie backpackers. I stayed in hostels in the bohemian barrio of Albaicín during both of my trips, which are perfect for those looking for a chill yet social respite from the city. Most hostels offer a comprehensive walking tour through the street art district and up to the gypsy caves in the hills. On the last walking tour, we ended up having beer in one of the caves with a group of friendly Senegalese men. Granada is also great for budget travelers since a drink at most bars comes with a generous portion of tapas, ranging from paella to pizza. Spain’s fourth-largest city is a major cultural hub. Known as the birthplace of flamenco, it is also known for the Alcázar, the tiled Plaza de España, a historic bullring, and some of the wildest festivals in the country—not to mention delicious tapas bars on just about every corner. From the modern Metropol Parasol and hip Triana neighborhood to traditional horse-drawn carriages by the Seville Cathedral, there’s an intoxicating mix of old and new. Córdoba is about a 45-minute train ride from Sevilla, making it an ideal day trip destination. The city is small, walkable, and its main attraction, the La Mezquita, can easily be visited in a day. As with many Andalusian cities, it’s charming flower-pot-lined streets are best explored on foot. Kidding, kind of. Antonio Banderas owns a penthouse in the center of his hometown and visits every year for the renowned Semana Santa processions. Jokes aside, the vibe of Málaga and its visitors was hard to pinpoint. The port city, also the birthplace of Pablo Picasso, seems like more of a jumping off point for its beach towns to the south (see Marbella below). It has the fewest major tourist attractions of the cities on this list, with most of the activities being niche museums and family-friendly places. The towns along the Costa del Sol in the province of Málaga make it one of the most popular coastlines in Spain. The beaches are packed with amenities, attracting families with children and resort-goers looking for a more luxurious vacation. Marbella is perhaps the most well-known (and bougie) of these towns, and it’s stunning old quarter is worth a visit alone. To escape the tourist crowds and prices of Marbella, stay in a neighboring town like San Pedro, as the seaside towns are well-connected by public transportation and a miles-long coastal walkway. The windy port city on the southwest coast of Spain claims to be the oldest city in Europe. Since it once thrived as a base for the Spanish navy and global trade, its has an otherworldly feel—a skyline dotted with watchtowers and a waterfront lined with fortresses. Lose track of time strolling through the cobblestone center or stopping near the mercado for a plate of fried seafood. When I told one of my Spanish students that I visited his tiny seaside village of Carboneras, he was shocked. While the province of Almería has some of the country’s best beaches, it is often passed up by foreigners for the more developed Costa del Sol to the west. Although we managed to get around by bus (and hitchhiking once), the region is best explored by car, where you can stop off at the many coves and beaches. Most-frequented by European vacationers, we were often the only Americans, which made it feel like we had stumbled upon a best-kept secret. Which city matches your travel style? Let me know in the comments!